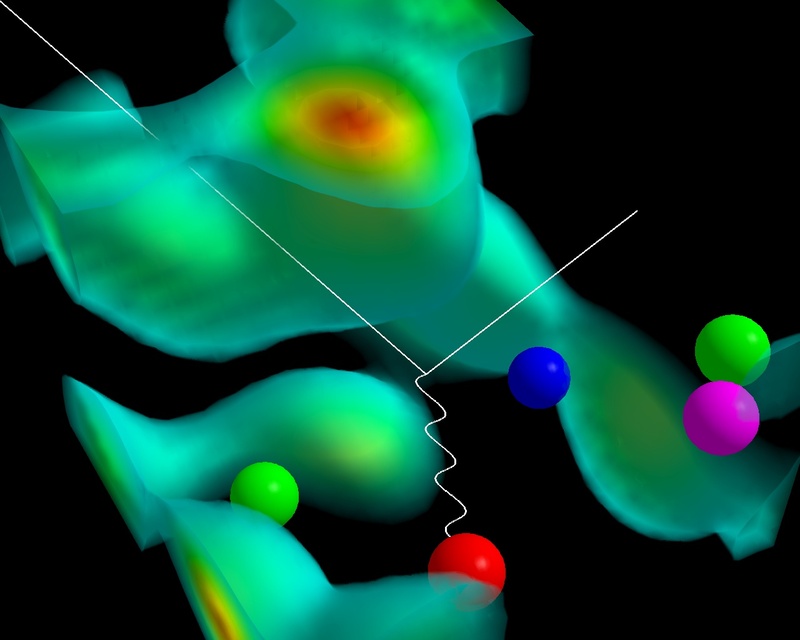 "Entanglement entropy" is the latest article posted by Lubos Motl. From this ideas are brought back for consideration, with Nigel and myself in trying to explain. I am not to swift sometimes in my explanations, so the inudation of links here direct underscore the probabilistic valuation one might assign perspective in relation to the topic assigned by Lubos in titled Link. I was going after consensus in terms of how temperature on Bekenstein bound was seen in context of 5th dimenison and 5d comparisons. Bekenstein image is very useful here as was Lee Smolins discription. If not in your surprize(?) I do not think Lubos Motl and Lee Smolin are too far apart? Here is a better picture of the Lava lamp. The Window on the Universes, has extended our understanding here as well. Glast determination in "calorimeric views" would be consistent the deeper look of gluonic perception at such levels? It would be hard to know this starting point yet the environment is conducive, non? left) are localized by the gluon field. illustrated by the green-antigreen (magenta) quark pair on the right. These quark pairs give rise to a meson cloud around the proton. The masses of the quarks illustrated in this diagram account for only 3% of the proton mass. The gluon field is responsible for the remaining 97% of the proton's mass and is the origin of mass in most everything around us. Remember that the age is determined by the dark matter density. Mathematically, the length is roughly the geometric mean of the mean free path and the distance light can travel without obstruction (the horizon scale). I am trying to make my case on the greatest physics paper over at Cosmic Variance. One notices the slight misinterpretation I assigned, "geometical propensity to physics" that the case is more then just physi,s but the limmerack added envisioned, over such a paper that leads into physics. :) I see no difference now. So I refer to it as the greatest physics paper! By use of similar triangles and congruent parts of similar triangles on the Saccheri quadrilateral, ABDC with AC = BD and ‚A = ‚B = p/2, he establishes his first 32 theorems. Most are too complicated to be treated in a short paper, but here some examples are merely stated, some are illustrated and some are proven. For those proofs which are brief enough to show here, the main steps are indicated and the reader is invited to fill in the missing details of the argument. A century after Saccheri, the geometers, Lobachevsky, Bolyai and Gauss would realize that, by substituting the acute case or the obtuse case for Euclid's postulate Number V, they could create two consistent geometries. In doing so they built on the progress made by Saccheri who had already proven so many of the needed theorems. They were able to create what we recognize today as the "elliptical" and "hyperbolic" non-Euclidean geometries. Most of Saccheri's first 32 theorems can be found in today's non-Euclidean textbooks. Saccheri's theorems are prefaced by "Sac." How far advanced our thinking has become, that we can move quickly here to other avenues of consideration? How much "inbetween" the leading thinking of Riemann that we can have gotten here in our "physics of geometries?" Is it a suttle generalization in words and limmerack that such a physics view could have seen nature at its finest, and explained in a mathematical way. Yes so easy now that we can see this space in ways that the average person without the physics comprehension would have never found that the fancy brane worlds held to perspective on the developing sciences and recognition of such physics processes had been elevated. Would the likes of a Peter Woit be stagnated on what he sees if such limitation to the math endowed creator of mind, would see that such limitations to spintronic value added, would only partake of the events held to this brane and that a wider audience would now see that such dynamicsi n this universe would be greatly enhanced by entering a whole new world of abstraction. According to Einstein's general theory of relativity, the gravitational potential due to an isolated source is proportional to rho + 3P, where rho is the energy density and P is the pressure. For non-relativistic matter the pressure is negligibly small, whereas for radiation P = rho/3. Therefore, for the same value of the energy density, radiation produces a deeper and more attractive gravitational potential (left) than non-relativistic matter (centre). If rho + 3P is negative, as in the case of quintessence ­ in this example P = ­2rho/3 ­ the sign of the gravitational field is transformed from attractive to repulsive (right). Does it all now rest in the eye of the beholder? Pictorially we now have a synoptic view below, that ones askes, can such cosmic variance have arisen from such a thing? Above, the picturing is leading to that comprehensive view? We use our new detailed picture to ask: "What happened earlier to make this picture happen?" We can now begin to probe the earliest moments of the universe: Inflation (the rapid expansion of the universe a fraction of a second after its birth.). We have ruled out a textbook example of a particular inflation model. But others will be supported with this new evidence. 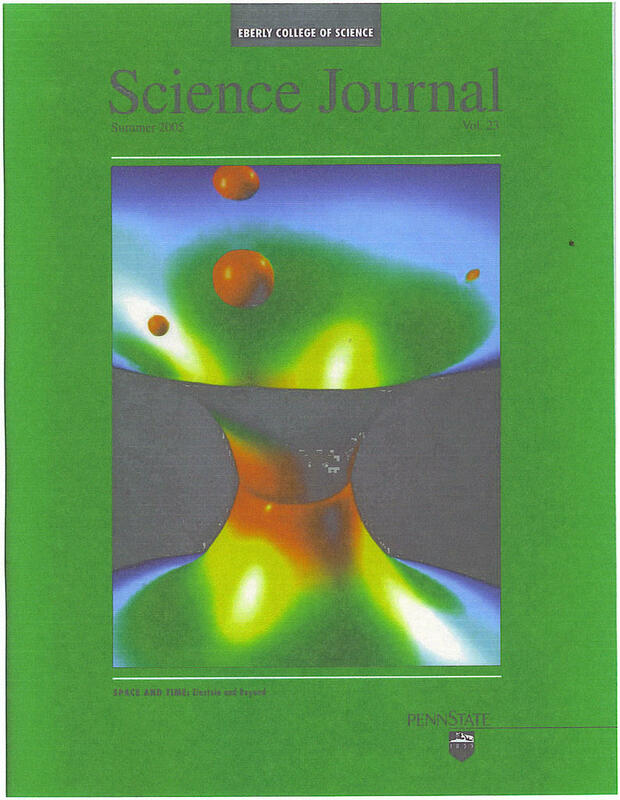 This link was added to paper by Steinhardt as ole picture was used for perspective had been updated, so I gave updated link to Steinhardt, as well as his paper. I was looking for a moon phase site for a reason and I'll let you know why in a minute here. If you have ever felt the inadequacy of being able to answer such simple questions, I quickly realize how such simple points forced me to go back and understand exactly what the answer must be. This has a way of waking one up to the wonder of all that can be read. All that one might have gained from such research, to realize, how much more there will always be to learn. My wife, my grandkid's Granmma and I, were making a memory last night before they leave this morning to go home. Now I should say, the night previous to this, our telescopes were set up, for my grandson, from earlier that day had told me what he wanted to spend his allowance on. So we made that trip to do his purchase. That night we waited for the night sky to come. Being so young, he became tired quickly, and soon fell asleep. There in the north-north east the moon arose, and with it, it''s phase from the 23 of August. Waking our grandson as gently as we could, we asked if he wanted to see the moon. Sleep was stronger then his wonder, I'm afraid. This is why last night, and with the help of my good wife, we again set up for the moon to arise. This is of course when all the questions about earth, the sun, the moon and so many bombarded Grandpa's intellect for such simple answers. "Why does the earth spin, Grandpa." The quick realization comes for responsible answers. Where shall I find these all these trusty answers? So as the moon started to rise on the horizon, our kitchen being dark, here shone this computer screen set up for every question, as we punched up google for all these wonders of wonders. "Why do we see the moon, Grandpa?" "Why does the moon stay so close to the earth Grandpa?" It is aversion of, "are we there yet" that Granma quickly saids, "listen Grandpa to what they are saying." As I sit this morning, it is not to strange that many will sit as grandparents for the generation much younger. Grandparents /Teachers, who will watch education move these younger minds to ask so many questions, and the better educated they become the more difficult these answers. So I rushed quickly this morning to write about my grandchildren, for it was a wonderful sight to see each of them gaze upon the moons surface. Gain a little knowledge about how long it would take us to get there. How much the moon weights, and on and on. I too also realized, that as a child of the wonder of it all, that I will also need a grandparent to answer such simple questions. So it would be with such patience and clarity, that such answers can be given in the hopes that as chldren, we will be quietly nudged from those ahead of us, in age and education, that such patience shall rule the day, as it must for the quiet and absorbed mind of a child that askes. This I learnt last night, and how wonderful to see such participaton and questions. Such "tolerance" from those who blog. To set aside and be examples, for those in general, will reach out to try and touch that understanding they have. Georgi Dvali:The cosmic acceleration of the universe indicates that the laws of General Relativity get modified not only at very short but also at very large distances, Dvali says. It is this modification, and not dark energy, that is responsible for the accelerated expansion of the universe. What Do Cosmologists want from String Theory? Most perfect fluid in face of strong coupling? Yet at the other end, there is no deviation? Lubos being on top of it, reveals new paper. Recent theories of physics beyond the Standard Model have predicted deviations from Newtonian gravity at short distances. In order to test these theories, we have a built an apparatus that can measure attonewton-scale forces between gold masses separated by distances on the order of 25 microns. A micromachined silicon cantilever was used as the force sensor, and its displacement was measured with a fiber interferometer. We have used our measurements to set bounds on the magnitude alpha and length scale lambda of Yukawa-type deviations from Newtonian gravity; our results presented here yield the best experimental limit in the range of lambda=6--20 microns. Don't cater to Intelligent Design debate Please? I would say attitudes from respectable scientists had more to do it with then any intelligent design debate. Any repeated pattern of news, associated. This debate was fuelled. While respected the stand taken against any position on "intelligent design" it would have been outright diagreement with the religious connotation for sure, then argue the basis of science assign to a differing group opinion. I stayed away from the source of this debate arising, as I watched Sean, Peter Woit and others villify and characterise(news jumped on this), a respective theoretical view, based on such association. This hurt propsective views on recogniton of theoretical position. The debate had to be rested in science, and any distinction of religion dropped from the conversation. Only the reason why such rejection, and such slogans pasted on other views contained. Lee Smolins attempt to draw other so science, and Lubos's attempted to clarify current scientific data. Argue then, Georgi Dvali's moon measure? The paper by Senthil et al. is an attempt to address this issue mathematically. It deals specifically with a suspicion many of us have had that quark confinement, one of the most cherished features of the standard model, may be a collective effect that emerges at a phase transition and thus not fundamental at all. The paper is complicated, an unfortunate side effect of the difficulty of the task, for it is not generally possible to deduce emergent phenomena from first principles. The best one can do is postulate them and then demonstrate plausibility by showing that small corrections get smaller as the measurement scale increases. Such convoluted arguments are ripe with opportunities for mistakes, regardless of how careful the authors have been, so the test of emergent universality that counts is always experimental. This, in turn, forces the theory to address not quark confinement itself but an allegory of it one might hope to test in a table-top experiment. The logic is maddeningly indirect, but unfortunately the only approach that is legitimately scientific. In the Q<->Q measure, the understanding of this distance in the metric was understandable? Now this is March of 2000. Still as a layman, such general talks need better clarification? 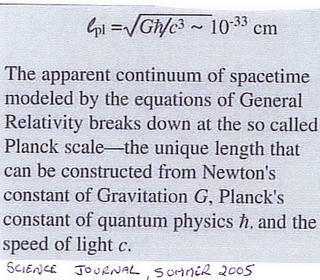 If you set the stage from planck length, then how indeed does LQG arise here? Witten:One thing I can tell you, though, is that most string theorist's suspect that spacetime is a emergent Phenomena in the language of condensed matter physics. Robert Laughlin:The true origin of these rules is the tendancy of natural systems to organize themselves according to collective principles. Many phenomena in nature are like pointillist paintings. Observing the fine details yields nothing but meaningless fact. To cor rectly understand the painting one must step back and view it as a whole. In this situation a huge number of imperfect details can add up to larger entities of great perfection. We call this effect in the physical world emergence. As I was reading Cliffords newest entry on Cosmic Variance site, his trip reminded me of the hike we took to see the Big Horn Medicine Wheel. Now what is interesting about this is I am not one who has had much association with such places of observatories, but far up to the left of this wheel is one that seems very out of place. Ironic in the sense that ole history about these "Medicine Wheels" could have brought such historical perspective to the science. Look at the universe, from a place where ancient artifacts gathered. At the center of the wheel there is a raised central cairn, and several others on the periphery of the wheel. These have been alleged to have astronomical alignments. 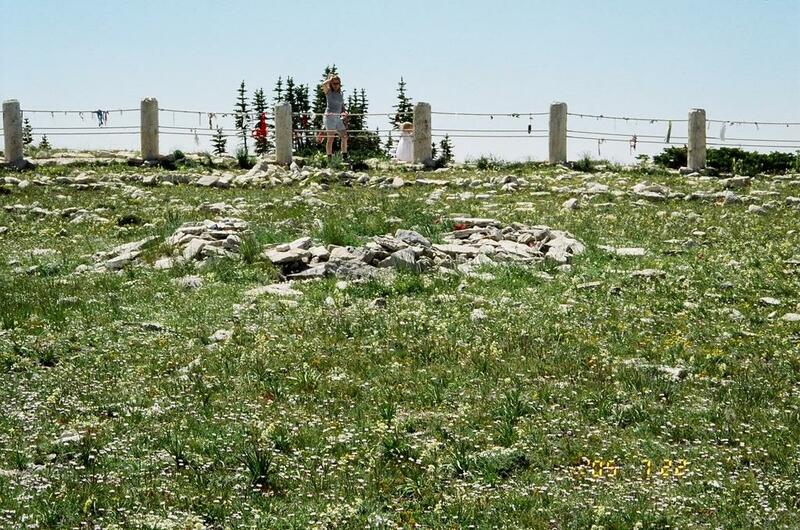 Astronomer John Eddy suggested that a line drawn between the central cairn and an outlying cairn at the Bighorn Medicine Wheel pointed to within 1/3 of a degree of the rising point of the sun at the summer solstice. The actual astronomical purpose of the design of these wheels remains controversial. The design may also have assisted in the performance of specific rituals and ceremonies that have been lost to us. The 28 spokes could indicate the lunar month, or the length of the female menstrual cycle. But I am not going to join the speculative feature of this wonderment, but to bring forward the understanding that mountains that may look the same, may have other reasons like it does for Clifford and his views of home. That for him to look, and have something nagged his "observatory mind" would have been as simple as "cheez, it looks like home." Well from a more suttle place, I bring forward the understanding that our perspective about cosmology, our understanding of the uniqueness of Omega? The implications of General Relativity, and how Alexanders Firedmann's eqaution is part and parcel of the understandng of a geometry. That helps lead the mind into the ability to see dynamicals of this universe. How would your obervation have changed with such paradigmal changes. In Toposense, is speak to that as well as relate that General Realtivity had it's saem consequence. Ask Sean about that one? Now we engage the spacetime fabric. This dynamcial abiltiy would not be seen before without this geometrical prospensity. So having been taken over by paradigmal change, the visionistic approach is one based on geometrical design, where the uniqueness of such correlations in the views of where nature resides. Brings one closer to the very spots we call "home". This is a real place for clifford, and yet without inducing such mysticism, this is also a place I draw from. Now you say this guy is nuts. But imagine the science that leads one to see such topolgical realizations would take cosmological priciples about this epxanding universe and find that in a Genus example of the spherical WMAP of creation, there are abilities of this universe to become, well, lets say like images of marbles on rubber sheets, and how did such isolated cases exist within the greater potential of this universe to unfold and one is lead to portions of objective collapses that help to bring a greater dynamcial view about this same cosmos. What makes this different is I relate topo-sense as a real part of paradigmal change. I encourage such changes when we learn( or are really a result of such learning). Who could not get this sense from, Mercuries Daisey, or Hulse and Taylor Binary star rotations that release "gravitation waves" that give us information about how close they are becoming. What's it's predictve date about coming together? You know it's amazing sometimes when the question in mind being put out there is not really answered right away, yet, it is strange that you ask and sure enough the right paper seems to find you. Plato said:Can this difference be as simple as, “a determination between “being discrete, and implying continuity“? Being stuck on the differences between String/M-theory and Loop Quantum Gravity, it was nice to find this paper and help bring me up to speed. 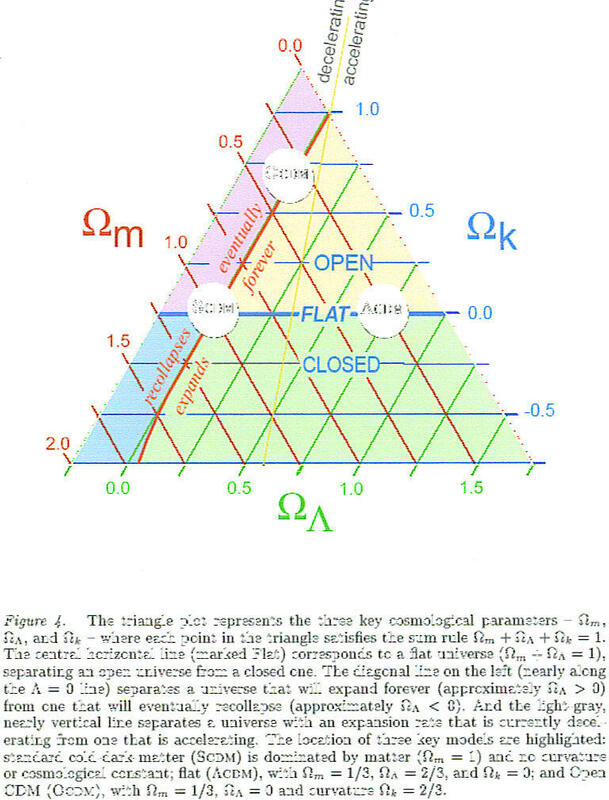 Quantum geometry is a precise,mathematical theory in which the primary objects-the fundamentals excitations of geometry-are one dimensional. Just as a piece of cloth appears to be smooth, two dimensional continuum although it obviously is woven by one dimensional threads, the Spacetime of General Relativity appears as a four-dimensional continuum although it is in fact, a coherent superposition of these one-dimensional excitations. One does not forget the uncertainty at this point, or the relationship of crackpotiness for not mentioning where and how this uncertainty comes into the picture. One must remember I am learning, and the most elegant thing to me so far has been General Relativity and I lay no claims to a theory or a idea, but relationships that pop into mind, that might not always be right. I have certainly come to some conclusion with the way I see tihs dynamcial nature of a quantum world, that hosts all this uncertainty. T-duality is something unique to string physics. It's something point particles cannot do, because they don't have winding modes. If string theory is a correct theory of Nature, then this implies that on some deep level, the separation between large vs. small distance scales in physics is not a fixed separation but a fluid one, dependent upon the type of probe we use to measure distance, and how we count the states of the probe. This sounds like it goes against all traditional physics, but this is indeed a reasonable outcome for a quantum theory of gravity, because gravity comes from the metric tensor field that tells us the distances between events in spacetime. Both positons needed to address the "length scale" so this was not to hard a subject to look into once it became apparent, the avenues of discreteness would come into play, as well as continuity. The article linked help with these clarifications. I'll put a picture here from my trip(it is taken from the board located at the site). 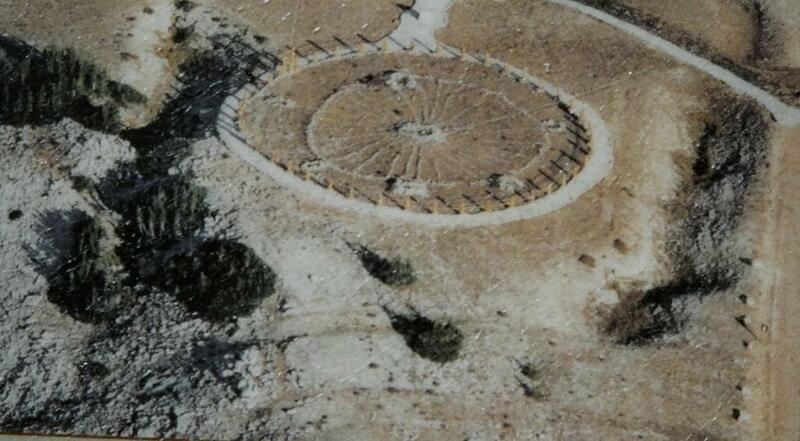 It's the Bighorn Medicine Wheel located by Sheridan Wyoming. It is about 9642 feet up and on Medicine Mountain. The walk was about a mile and half in and was about a 100 degrees that day. So these artifacts of culture and methods of model intepretation, can be one of many that finds interesting features, as a expansitory universe? At the same time such model enhances the internal developement. No wonder the Klein bottle attracts the eye, or a mobius strip. And let's not be sheepish here, the Taoist symbol? IMagine indeed one could suffer the wrath of Gellman and look out Tony Smith you might be sidelined because of these yin and yang symbolizations and the Eightfold way? Culture changes perspective as much as new models that help us see things in different ways. The familiar extended dimensions, therefore, may very well also be in the shape of circles and hence subject to the R and 1/R physical identification of string theory. To put some rough numbers in, if the familiar dimensions are circular then their radii must be about as large as 15 billion light-years, which is about ten trillion trillion trillion trillion trillion (R= 1061) times the Planck length, and growing as the universe explands. If string theory is right, this is physically identical to the familiar dimensions being circular with incredibly tiny radii of about 1/R=1/1061=10-61 times the Planck length! There are our well-known familiar dimensions in an alternate description provided by string theory. [Greene's emphasis]. In fact, in the reciprocal language, these tiny circles are getting ever smaller as time goes by, since as R grows, 1/R shrinks. Now we seem to have really gone off the deep end. How can this possibly be true? How can a six-foot tall human being 'fit' inside such an unbelievably microscopic universe? How can a speck of a universe be physically identical to the great expanse we view in the heavens above? 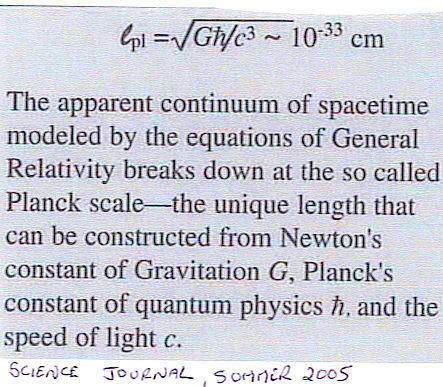 (Greene, The Elegant Universe, pages 248-249). What relevance would Greene's statement have in relation, and the draw back of meaning other then the support of physics, makes my subjectives perceptions questionable? But from the understanding of the expansion of the cosmos, what model is hidden in our perceptions, that we would seek to make the journey of humanity whole? By seeing and understanding, the beginning and the end of this universe, is a suttle change from one phase state change, to the next? From Planck Epoch to Grand Unification, and how suttle(high) the energy that makes its way in our world to see it is measured and in wonderous mode, call it the Oh my God Particle? So then, the history of that universe is with us now. Where the possibility exists that such microstate blackholes would have the opportunities to indicate what shall begin and from where? So what are we to think of this dimensional perspective that would describe for us this anomalie of Eric Adelberger on Aug 12th, 2005 at 2:37 pm, experimentally is being done for the measure of those extra dimensions? Can this difference be as simple as, “a determination between “being discrete, and implying continuity“? Where strings implying only tree features, while the approach to glast, as a “new view” supported by "Doubly Special Relativity", that Rovelli and Lee produced? This basis and history is what I am compiling. One can ask any question and have it loaded, with lots of information. But just trying to bring something to simple clarity, even in conceptual framesworks is not always easy, if you don' ask the question? This limit was computed in 1966 by Kenneth Greisen, Vadem Kuzmin and Georgi Zatsepin, based on interactions predicted between the cosmic ray and the photons of the cosmic microwave background radiation. They predicted that cosmic rays with energies over the threshold energy of 5×1019 eV would interact with CMB photons to produce pions. This would continue until their energy fell below the pion production threshold. Therefore, extragalactic cosmic rays with energies greater than this threshold energy should never be observed on Earth. Unsolved problems in physics: Why is it that some cosmic rays appear to possess energies that are theoretically too high, given that there are no possible near Earth sources, and that rays from distant sources should have been absorbed by the cosmic microwave background radiation?A number of observations have been made by the AGASA experiment that appear to show cosmic rays from distant sources with energies above this limit (whimsically dubbed Oh-My-God particles). The observed existence of these particles is the so-called GZK paradox or cosmic ray paradox. Anyway, this was brought up and the questioned asked, because I did understand something that even if it was based on theoretical definitions might have been ones that were different from another, and brought the scorn of high energy physicists to wonder, where such principles had been raised in terms of quantum gravity? So lookng at Lee's position and it becomes clear when one does the research on cosmological scenarios, that no wonder you want the string theorist on side, in this debate. John Ellis is a fine educator when it come to laying the simple view to avenues related to both High energy physics and the relation in Pierre Auger determination. Imagine microstate blackholes, and I wonder what "this trigger is" that would make life so much easier if we could determine the background,versus non background debate in terms of these experimental positions? So strings and Loop quantum are face to face here in our informational predictions, about outcomes of the background versus the non-background, and getting to the source of this debate, from a physics interpretation and a expeirmental one, has always been the quest I think, and one supported by Lee Smolin. So what rationality might have issue from the basis of that theoretcial position, and like I said before, it seems what pubic relations the top scientists have with the public, is to lay the foundation at the front door in a simple a way as possible from the blogosphere. What other way is so simple and direct tot he public that such distance could now been narrow to someone like Clifford in Cosmic INvariance, speaking to this very subject. Any the link below this sets the tune, and here th econtinuation of th equestion I had there that has not been repsonded too, becuase of the layman underdevleoped view of where top theoretorcians reside. I'll give it a stab anyway. There seems to be a certain romance I have with the subject, that does not require money from any avenue, and such grants, far from the layman's view that doing this for fun, has been most rewarding becuase it brought me to see in different ways in the bulk, that others in simple life care not, and walk their way. Seeking clarity in relation to experimental propositions of Glast 2006 and how it shall support one’s position over another? Will it? High energy relevance had to meet each other in a way that cosmologically had something to do with high energy perceptions in relation to the trigger? Link on name. Since it is hard to put a link within a link, I thought I better put link on name here as well. I really hate quoting myself, but alas the move is to continue regardless, so onto, "Gubser and structure information." Steve Gubser (from Princeton) has just gave an interesting talk at the joint seminar in which he tried to convince us that structure formation (the process in which the early clumps of matter and the first galaxies were born) is a very interesting topic in cosmology, even for string theorists, in which some signs of new physics may be found if one tries to reproduce the observations. How indeed would one see gluonic perception at this level bringing us ever closer to views on the window of the universe, and such leaidng indicators has to bring some noton to what started in the beginning? Non? While on Cosmic Invariance, Clifford brings a much needed attempt at explanation on how we view the landscape. I'll have to spend sometime going over this becuase it is a critical position and difference between two facets of thinking within the scientific community. Susskind and Lee Smolin have lead this discussion repeatedly before, and I find this continued effort, a nice way to continue to peer into. Some response helps too, and indicates our attention to the reasons why such positions are adopted. I find this very important in understanding why these respective positions, are taken and what possibly might issue from the stated position. Method A: ASSUME 1) that there is a real non-perturbative theory behind all the approximate calculations and 2) that it is relevant for nature. Then interpret various results, having to do with dualities, the landscape etc given these assumptions. As stated before in how Clifford presents his perspective I immediately noticed a corresponding image in my mind in terms of hypherysics. Now you have to forgive my laymen perspective because when they start talking about the landscape, I tend to see this completed image in my mind, much as I have relayed it here(Are Scientists Currently Censoring Debate on Global Warming). Although it seeks to detail the environment as a relative view on such perspective as landscape, I thought I would see how Cliiford's view and the resulting talks might have been understood from my own perspective. Unfortunately I do not have the guidance other then what I can intuitive garner in my continue development, so I hope I do other justice and do not degrade this topic in any way. So when one looks at these images of the landscape what is being said here, I tried to garner a overall perspective as I did in the "censoring debate on Global warming". I give a direct link to the picture that had been presented early on in my research, because I tended to see this split very early on as a positional one worth taking note. But somewhere along the line my thinking changed as I saw the vast differences and capabilities of the bulk possibilities in terms of graviton scattering and condensing feature. So transferring this thinking to global differences help me to continue to see how Clifford or string theory approach to landscape development might be seen. I rest easy that there are those better qualified, but this has not limited what I have now been able to see. As others will see in the landscape interpretation. However, until evidence for new physics is found, it is clearly better to work on tests of the inverse-square law than on equivalence-principle tests: the 1/r2 tests are more general (probing all finite-range effects), and more sensitive (in particle-exchange scenarios the composition-dependence is expected to be a relatively small fractional effect). But testing the gravitational 1/r2 law for length scales less than 50 µm will probably require a somewhat different technology. In a planar geometry (optimum because one gets the maximum amount of mass in close proximity) the signal of a short-range Yukawa interaction drops as roughly the 4th power of the Yukawa range while extraneous disturbances stay roughly the same size. This will present an interesting challenge for future experimental work. Imagine, if such assertions to extra-dimension were just superficial statements drawn from historical literature that people drummed up to create mysticism? Oh how safe I would feel drawing from such statements, that wonder of all wonders, there was a scientific basis assigned this perspective of Georgi's. Dvali posits that this leakage has a profound effect on the gravitational force between objects separated by more than the critical distance. Specifically, the theory of modified gravity has a characteristic length-scale r_c, or approximately 15 billion light years. This marks a crossover distance beyond which the cosmological expansion becomes accelerated, and thus, from cosmological observations r_c is fixed to be the size of the observable universe. Even though r_c scale is enormous, the imprints of modification are detectable at much shorter distances because of the additional gravitational force. I think Eddington expeirment and methods used in LIGO speak directly to the range of sublte thinking that was necesary from a broad landscape of bulk gravitonic perception, that could be the effect of such things as lensing, dilation and gravtonic scattering effects? So we understand here do we, that procedures to conceptual fabrication has some basic formulation to those short distances? Eöt-Wash Group was also asking something about these short distances were they not? The history her eis a short one from 2001 but it bascialy answer soem questions about what those extra dimensions mean. So don't take my word for it or someone who just scoffs at the very notion. Apply yourself to see what is meant. Maybe you will tend to wonder what crazy ideas Brian Josephson had about the nature of civilzations living amidst our own? Just had a look at Cosmic Variance and found this statement by Sean Carroll about the Eotwash group update. Here is what Eric Adelberger had to say. As stated maybe this anomalie might be significant and for scientists it is necessary such a quirk of nature be seen and understood. I relayed Einstein's early youth and the compass for a more introspective feature that such anomalies present. The Eotwash Group is a sign of relief, for the speculative signs attributed from other scientists, made this topic of extr-dimensions unbearable and unfit for the general outlaid of scientists who did not understand this themselves. So what does Lubos have to say about this in his column? The most careful and respected experimental group in its field which resides at University of Washington - Eric Adelberger et al. - seems to have detected deviations from Newton's gravitational law at distances slightly below 100 microns at the "4 sigma" confidence level. Because they are so careful and the implied assertion would be revolutionary (or, alternatively, looking spectacularly dumb), they intend to increase the effect to "8 sigma" or so and construct different and complementary experiments to test the same effect which could take a year or two (or more...) before the paper is published. You know, there are many things such as the van der Waals forces and other, possibly unexpected, condensed-matter related effects that become important at the multi-micron scales and should be separated from the rest. Dijkgraaf’s talk was completely standard string evangelism, and except for a couple slides mentioning D-branes and black holes, could easily have been given, completely unchanged, twenty years ago. Sometimes if you do not do this assessment for the general public, and make correct the way in which a Peter Woit, Robbert Dijkgraaf or even a Lubos Motl might have views on things, then to introduce on religious grounds the ownership of perspective, one might move to defend themself as being free of "faith based organizations?" One would have been classically stereotyped, because of the position they hold? You'd all be backing away from each other? But that's not the point I think. It's sort of like Lee Smolin synopsis, on the way "Three Roads," now leads to where one had moved since then. You see, one has to do this checking all the time, just so that the position held in context is necessary for further developmental strategies to future perspective. This is what Lee Smolin does that I like. The harmony that is required might be okay to diverge into positions distinctive, but the larger populace would, and might see such dialogue as discerinig of the struggle that lays before all. No wonder Susskind, moved to consider himself free of some intelligent design model that might have been imposed by the sean's carroll and others, who would seek to tie an aspect of theoretcial developement to some "faith based idealization of research" and developement. I have listen to it long and hard about the way in which there is some master plan to have some movement take over the common sense of the scientific trades? So you decide and listen reader. For you, it may be something new. I can assure you you will not be taken over by some unseen force, where an exorcism is needed to bring you back to common sense. I was attracted to Nigel Cook's statement on Peter Woits blog entitled, "Panel Discussion Video" by the quote of his taken here below. What immediately struck my mind, was the Bekenstein Bound and how "temperature" would have been seen from that perspective. Superstring theory rules in the 5-D spacetime, but a so-called conformal field theory of point particles operates on the 4-D hologram. A black hole in the 5-D spacetime is equivalent to hot radiation on the hologram--for example, the hole and the radiation have the same entropy even though the physical origin of the entropy is completely different for each case. Lee Smolin post given at Peter Woit's site was a ressurrection of "Three Roads to Quantum Gravity", and I like the fact that he wants cohesion amongst physicists and theoriticians alike. But if stauchly held to any position, then you have divisive comment about the ways in which to approach things. It can't be helped. But asking for more clarity this might be a good thing, and a approach by Lubos to qualify the string theorist position. But before consider Nigel's comment, I wanted to quote something from Lee Smolin. 'Caloric’, fluid heat theory, eventually gave way to two separate mechanisms, kinetic theory and radiation. This was after Prevost in 1792 suggested constant temperature is a dynamic system, with emission in equilibrium with the reception of energy. Yet I understand this call for bringing a string theorist into the fold of Lee's, but I would remind him, that such cosmological approaches are well on their way with the course ISCAP set for themselves and how comsological realization, are still important features that string theory would like to get a hold of. Thanks to Peter Woit for these kinds of links. As a lay person, to see this idea exemplified by such gatherings, closes the great divide. It is wonderful in a way, when one can see where these mathematics are really quite interesting aspects of vision, that can and are related to the physics of life. What ever perspective could Thales have brought? Aristotle defined wisdom as knowledge of certain principles and causes (Metaph. 982 a2-3). He commenced his investigation of the wisdom of the philosophers who preceded him, with Thales, the first philosopher, and described Thales as the founder of natural philosophy (Metaph. 983 b21-22). He recorded: 'Thales says that it is water'. 'it' is the nature, the archê, the originating principle. 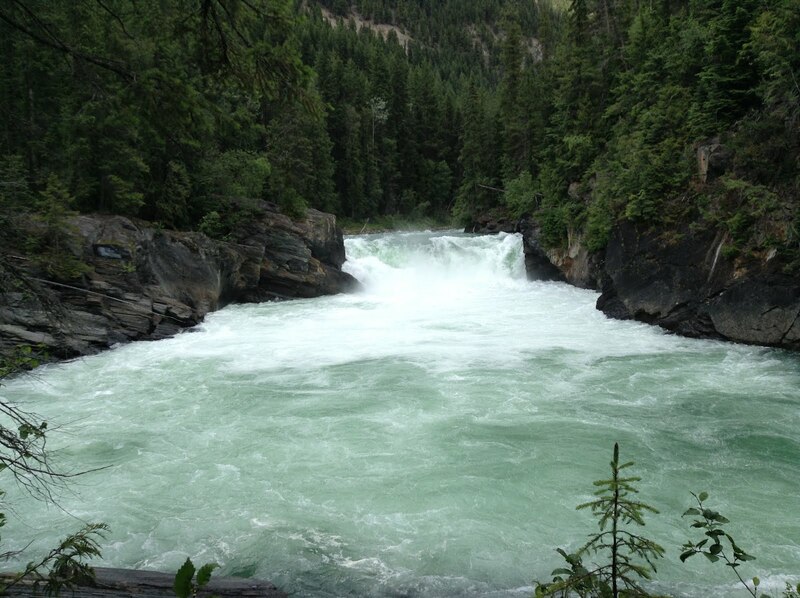 For Thales, this nature was a single material substance, water. Despite the more advanced terminology which Aristotle and Plato had created, Aristotle recorded the doctrines of Thales in terms which were available to Thales in the sixth century BCE Aristotle made a definite statement, and presented it with confidence. It was only when Aristotle attempted to provide the reasons for the opinions that Thales held, and for the theories that he proposed, that he sometimes displayed caution. Spend some time on what Thales might have revealled on the site I developed, had he known the issues of gravity could have been measured in ways? That the world, is only now becoming familiar with? Might one called it a "landscape approach" using the basis of Thales principles, and understanding the measure of the world and globe, other then the round pearl of vision and euclidean measure. That we have attached heightened and perspective minds who see this earth other then in the way evidentuary minds will accept. This might have been my message to Peter Woit, that such journies, although mathematically embued, would have been seen in theoretical developement, as useful, from the developement and perspective of what these maths entail physically. This is what is beautiful to me, that such a vision that I have attained through my work, could marrying the physics of life with abstract and somewhat untouchable connections? This method created relevance to the mathematics and the understanding of what might issue from other methods, that were "revolutions in themselves," in the way we could interpret the phsyics and world we see in careful ways. Investigating the complex relationships between mathematics and human culture. Exploring new ways of talking about mathematics inside the mathematical and scientific communities. Creating new methods for communicating mathematics to the culture at large, including education. You will find throughout my site, many links to different mathematical perspectives that were developed, from following the world of Einstein and General Relativity. Who would have known Gauss's world might have revealled an aspect of the understanding of non-euclidean perspectives? That would point us to see Gauss's coordinates much different then Euclids. here parallel lines woud have taken on greater connotations, when elevated to brane and parallel worlds? By studying this history, I learnt to see where physics join mathematics in a wonderful way. Some might even say that for such a roque scholar and student, there might have been some inroads to perceptions not realized before? This has been a wonderful feature of reading and writing, that model building might had truly gone on? While it is wonderful to protect the interest of all students of a kind, the link presented here, in "Thales and Narrative," has been one that that could only come about by dialogue. Unfortunately for me, at a distant work, had to cleverly institute a method to continue such work, without the incentives and encouragements, that proper students and scholar would enjoy. But this is minor, to the wonderful things I have learnt and am learning. While the Image seen here, is one week into our trip back east to the prairies, this leg of the vacation is being shown for a particluar reason. HUman nature saids we like to embedded and concretize the greater philosophies into the images of history? Americanization would embue itself to the higher standards of which this society would develope itself. 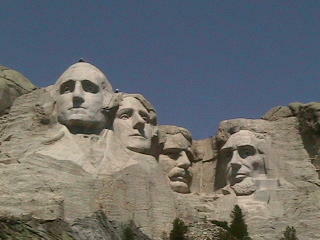 So with insight, a sculptor might embedded these into the images that we visited, to see here. Allow people to give nergy to such gatherings and become the blazoned typical image to reside now in the deeper functions of scoieties long lasting and timeless embodiement within that same consciousness. 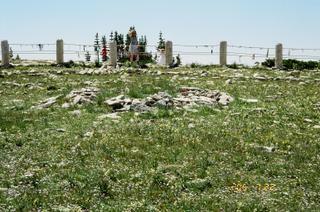 This place is called Big Horn Medicine Wheel, and is located near Sheridan Wyoming. At a elevation of 9642 this is located on Medicine Mountain. This Medicine Wheel, was used by the Crow and Cree Indians and is remote and inaccessible most of the year. While the walk is about a mile and half in, the trail takes you to vistas, and reasons why such a view woud have held the nature of sight beyond border from sights seen at lower elevations. At that Height, it was beautiful, and held me in wonder why such a jouney would have been endured by these cultures to participate in a ritual of harmony. This is one aspect of the culture to which the idea of "liminocentric structures" are brought forward for inspection, and aside from the context with which I have spoken here in this blog. I wanted this relation to reveal the topological recognition of what wraps the brain and bodies's home much like the earth, that although it is physical as th ebody is the earth has certain qualties that we give the earth body, a layered recognition, much like the pearl, deepr levels of consciousness exist. But there is another layer to the idea of what existed long before we had ever set our hands to work in these concretize forms, that the historical significance reminds us of a civilization that existed long before the scuptor saw fit to immortalize the subject in stone. But before I continue with this explanation I wanted to move forward with the idea of this entry, so one gets this sense of the layered vision with which we assign humanities philosphies to concretization and heights, from which modern day visions are circumvented to our daily lives. From a distance, as I looked at this object of consideration,I thought too, that such a distance could have been associated to the depth with which our consciousness sees fit to bring into the light of day, much as the story unfolds in Close Encounters of the Third Kind. So who is that plants these idealizations in the hisory of mankind, that such mountains and stories of myth would challenge the mind to ascend the mountain landscape, to become in touch with the finer aspect of spirit, that so close and intouch we might have become with the true goals of what exists at these deeper levels of mind. That such universality would have pointed all to the aspect with which we encounter these deepr levels of unconsciousness that you or I have given, in meaning? 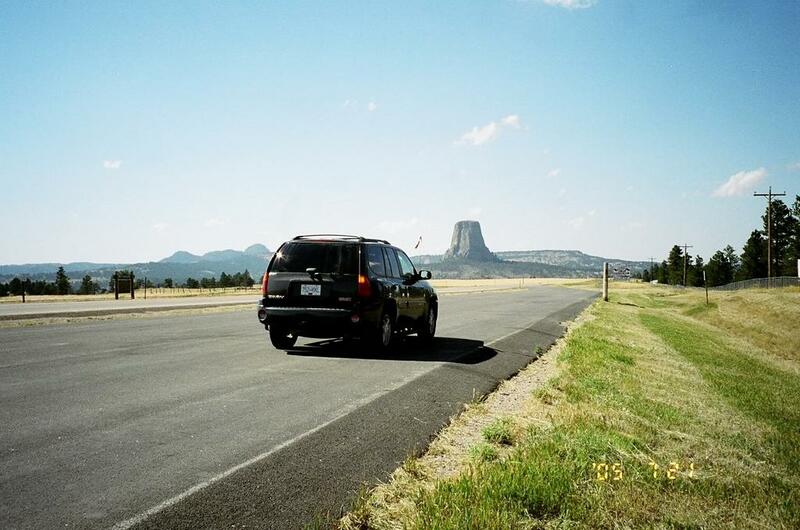 Where the greater context of people gather on a scupltured mountain, or high mountain place that a INdian culture would gather, or where the society would see the layered source of true metal, of mountain stone revealled, in President Heads, or as Devil's tower? The struggle is for recognition, and verbalization, artistically inclined, that such a struggle would bring identification to a certain reality and life's fulfillment of a plannned unfoldment in one's life's work. I am not sure if any remember this image when it was first introduced for the general public in a movie known as, Close Encounters of the Third Kind." Where Richard Dreyfuss in his struggle to identify this deeper conscious recognition implanted in the brains of the public, for a meeting ground of contact. The nearly vertical monolith known as Devils Tower rises 1,267 feet above the meandering Belle Fourche River. 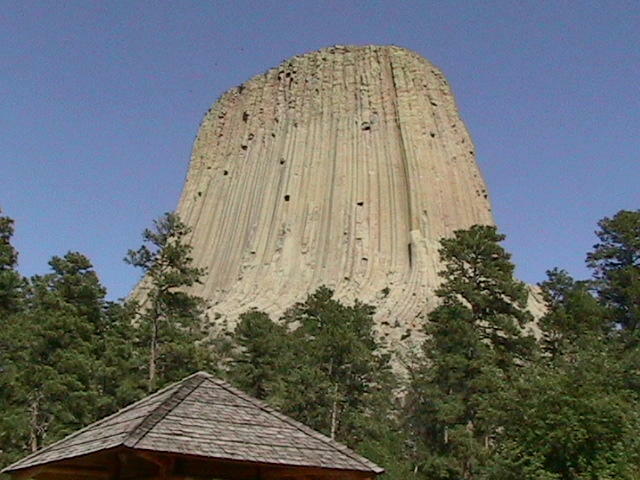 Once hidden below the earth's surface, erosion has stripped away the softer rock layers revealing Devils Tower. Known by several northern plains tribes as Bears Lodge, it is a sacred site of worship for many American Indians. The rolling hills of this 1,347 acre park are covered with pine forests, deciduous woodlands, and prairie grasslands. Deer, prairie dogs, and other wildlife are abundant. Proclaimed September 24, 1906 as the nation's first national monument by President Theodore Roosevelt. So it seems such a idea of the first contact of the extraterristial kind should have brought the publics to consensus in this planted image of gathering. What value then of such a natural consequence would lead anyone to write this image into a movie and draw from the myth that surrounds it's very formative and geophysical relevance to other worldly ideas? A electrical beacon for other civilizations? The universality of a life living would be in greater context then the one life we choose to live now? The greater context would say, that Like Ben Franklin, the cloak with which we wear, can be taken off and put on. But in the deeper context of this outer covering, the truth still exists and is retained as a thread, through all our choosen existances. So we are not so divide in this culture or that one that we might not have expeirnced the model of wholeness through which each life is represented as a point onthis circle of time, that such wholeness would say that the inner/outer compulsion for expression would be out there int helayered vsions of relaity yet they are tied deeply to the home in which we live now. The Earth with which we reside now? There is a story on this page that unfolds the more you enter the depth of perception that is offered. If you click on the picture supplied below it takes you into a deeper "cavern of thinking", that relates the depth of ideas that Lubos talks about, with ways in which the standard model might have been used. I don't say this is the way, but just that in observation, I delved deeper into the meaning of what is not apparent on first look, had me realize that the way history can be rewritten, with a artistic inclination could hold a scientific mind to valuation of what others who demand of this reasoning to be sound. "But now, almost a century after Einstein's tour-de-force, string theory gives us a quantum-mechanical discription of gravity that, by necessity, modifies general relativity when distances involved become as short as the Planck length. Since Reinmannian geometry is the mathetical core of general relativity, this means that it too must be modified in order to reflect faithfully the new short distance physics of string theory. Whereas general relativity asserts that the curved properties of the universe are described by Reinmannian geometry, string theory asserts this is true only if we examine the fabric of the universe on large enough scales. On scales as small as planck length a new kind of geometry must emerge, one that aligns with the new physics of string theory. 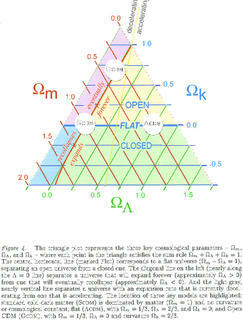 This new geometry is called, quantum geometry." On observation alone, who might judge what might issue responsibility, and we have one man's take here. I thought, why waste having hard work deleted, when I can explain myself here:)It always amazes me that such theories were allowed expression and crackpotential meter status recognition, were allowed to live well on, "Not Even Wrong." Peter Woit:I’ve always personally felt that the real question is not how to quantize gravity, but how to quantize gravity in some way that tells us how the geometry of space-time is related to the geometry of the standard model. So Tony Smith opens the door to crackpot alley, and the chances of who might issue forward with possible scenarios, can include, not just the sane in respect of one man's view, but others to comment regardless of the stature with which he might impose a strict recogniton of what is required. Do they all follow this regiment? So while this topic was going on I thought about something, or rather someone, who might fit the requirement of Peters statement. Why not my words, and the perspective of another, who saw historically one way, had revisionistic insight, to redraw the picture in a way, that such a view could be extolled in Peter's Comment? While the Standard Model has been very successful in describing most of the phenomemon that we can experimentally investigate with the current generation of particle acceleraters, it leaves many unanswered questions about the fundamental nature of the universe. The goal of modern theoretical physics has been to find a "unified" description of the universe. This indeed leaves a "pretty big question mark", but Prof.dr R.H. Dijkgraaf might he learnt to hide this question mark in a place where few with good observational skills might find it? So how lovely indeed, that such a veiw that Peter Woit asks for, might have been embued in artistically thesis of the good professor? The dynamical nature of this movement, is the status of what quantum gravity might have brought forward in unseen lines and such, that Prof.dr R.H. Dijkgraaf maybe, just maybe, the answer lies here? What do you think Peter Woit?